This "Historically Speaking" column was published in the Exeter News-Letter on Friday, May 11, 2018. The school’s benefactor, Exeter native William Robinson, wanted a girls’ school that would, “make female scholars equal to all the practical duties of life; such a course of education as will enable them to compete, and successfully, too, with their brothers throughout the world.” This was all well and good, but there was some concern that book learning wouldn’t feed families. Cross commented that the Seminary, “offers a good course in chemistry with an elective of half a year’s study of qualitative analysis. To this it is intended to add a three month’s course in either Junior or Senior year in domestic chemistry, the most practical that I can devise, and that should be supplemented by a course of lectures and applied lessons in cooking given by some eminent teacher of the art.” And with that, the domestic science department was created. To give the girls some incentive, William Burlingame, secretary of the Board of Trustees, offered monetary prizes for the best bread baked each year. And because teenagers, then as now, appreciate both competition and cash, the contest was quite popular with girls. Samuel Gridley Howe died in 1876. Julia, who was 18 years younger than he, was finally able to spread her wings a bit. She toured the country and wrote constantly. Howe lived another ten years. 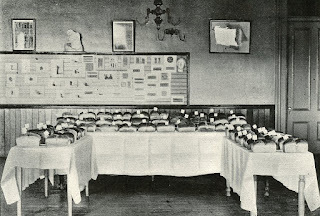 The Burlingame Bread Prize continued at the Seminary long enough for a young Marion Louise Tyler to write in her diary in 1909, “May 18th: As it was Bread Day we didn’t have any school in the morning. Ruth got 3rd prize, and I got 1st honorable mention.” In a side note to her sister Ruth, Marion noted, “Didn’t I take a loaf of your bread when I got 1 H mention? I’m sure I did.” The athletic Louise would go on to marry happily, travel the world with her husband, legally vote and live her life the way she wanted. Julia Ward Howe would have been pleased. 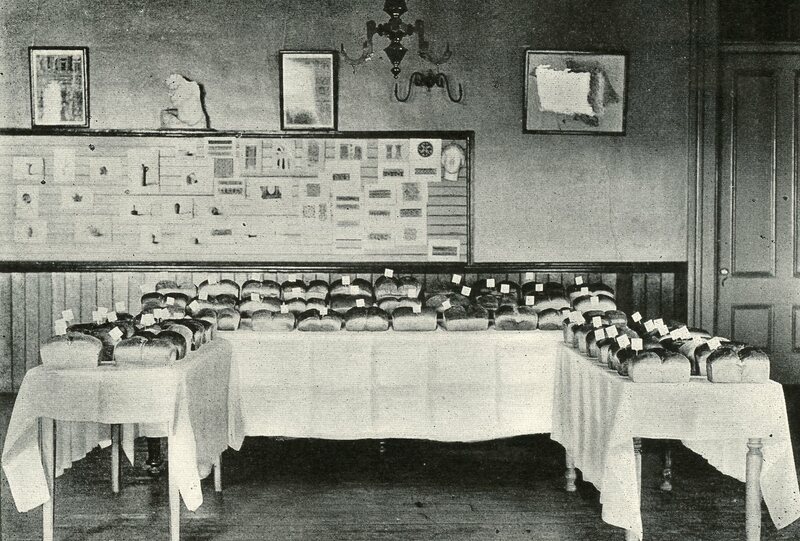 Image: Bread loaves on display for the 1898 Burlingame Bread Prize at the Robinson Female Seminary. The following year, Julia Ward Howe was invited as the keynote speaker for this annual event.